The Brodmann PE 212 is a dynamic piano designed for music institutions and recital halls. 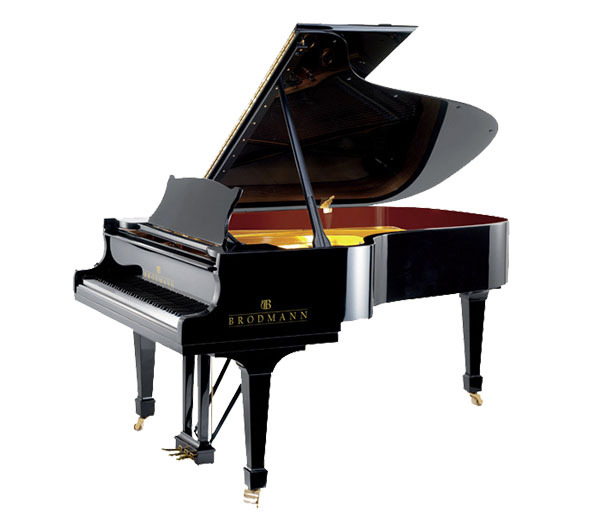 This incredible piano with its responsive tonal range is also an ideal instrument for use in luxury home salon concerts. Finished in ebony polish with 7¼ octave (88 keys), 3 pedals (including sostenuto), German scaling and design, Strunz solid spruce soundboard, and slow close fallboard system. L: 212 cm / 7’0"
W: 159 cm / 5’3"